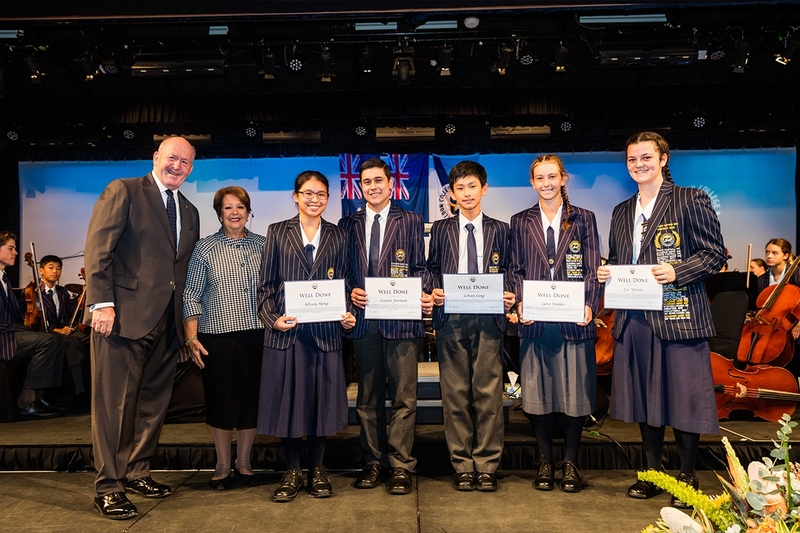 Sheldon College welcomed His Excellency General the Honourable Sir Peter Cosgrove AK MC (Retd) Governor-General of the Commonwealth of Australia and Her Excellency Lady Cosgrove for a very special Assembly on Monday. Greeted by their official hosts for the morning, Principal and Founder/CEO, Dr Lyn Bishop OAM and Chairman of the Sheldon College Board, Mr Chris Wigan, the Governor-General and Lady Cosgrove proceeded down an honour guard featuring Year 1 students waving Australian flags. 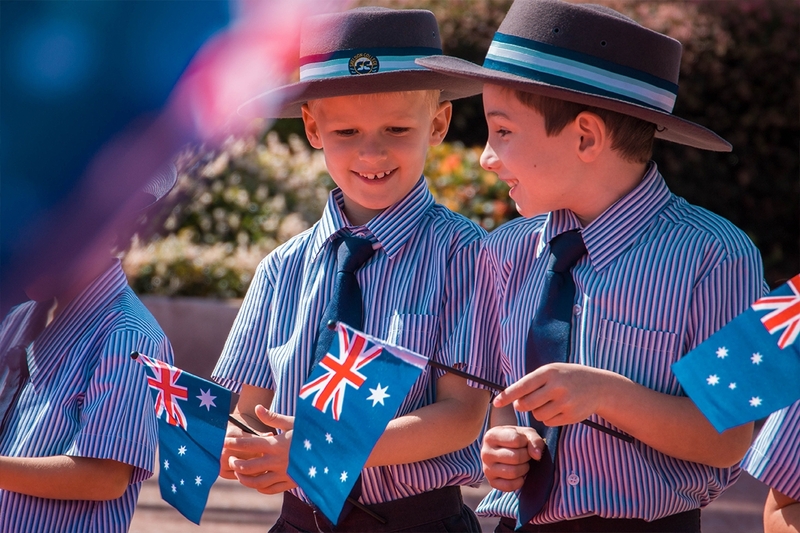 (Year 1 students Jordan Leaney and Joshua Kelly wave Australian flags for the arrival of the Governor-General Sir Peter and Lady Cosgrove). 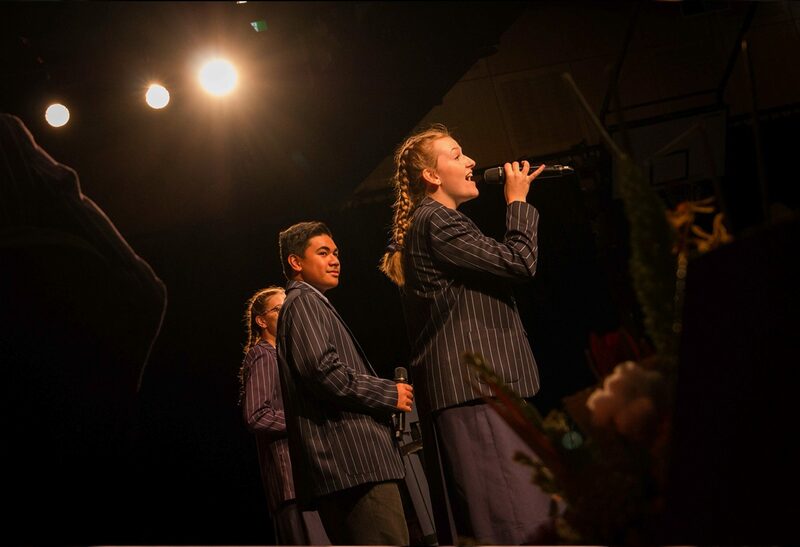 Introduced by College Captains, Taige Hooper and Zoe Moran and led into the Sheldon Event Centre by the College Band, Their Excellencies were welcomed by friends, families and VIPs of Sheldon College. In the Governor-General's address to the Assembly, he reminded those in attendance of his previous visits, his first being over ten years ago, reminiscing on how the College has grown over the years. He encouraged students to dream big and assured them there was greatness among them, whether they wanted to be in a leadership role in the public sector or play their part within the community closer to home. At the conclusion of his speech, the College was presented with a special plaque commemorating the Governor-General’s visit to Sheldon College. The Governor-General and Lady Cosgrove also presented awards to five Sheldon College students in the areas of academia, sport, art and community service. Academia: College Captain and Year 12 student, Zoe Moran received her award for her participation in the National Youth Science Forum held at the Australian National University earlier this year, along with her continued participation in the QUT Future Leaders Program. Sport: Year 10 student, and tennis prodigy, Lara Walker received hers for her continued contribution to the sport of Tennis including her 2019 Junior International Grand Slam debut at this year’s Australian Open Tennis tournament at just age 15. 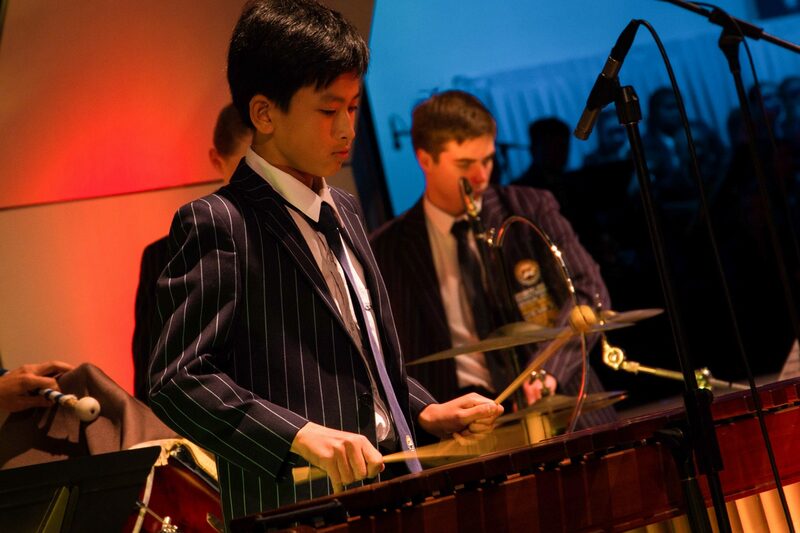 Art: Year 9 student and percussionist, Lehan Ling was awarded for his participation in the Queensland Symphony Orchestra Young Instrumentalist Prize. Fifty-one exceptional student musicians from across Queensland, including five other Sheldon College students, auditioned to take part in this competition. Only six, including Lehan, were selected to perform in the finals. Community Service: Year 10 students and members of the Sheldon College Community Service Group, Kaelan Durham and Allison Heng were acknowledged for their outstanding contribution to bettering the lives of others and raising awareness surrounding major issues within the Australian community. (Governor-General Sir Peter and Lady Cosgrove hand out Key Achievement awards. Left - right; Governor-General Sir Peter, Lady Cosgrove, Allison Heng, Kaelen Durham, Lehan Ling, Lara Walker and Zoe Moran). Throughout the Assembly, performance groups and pieces were featured including “Power Struggle" by composer Nathan Daughtrey and performed by the Senior Percussion Ensemble; and "The Circle of Life" composed by Sir Elton John and performed by the College Orchestra and Senior Chorale. 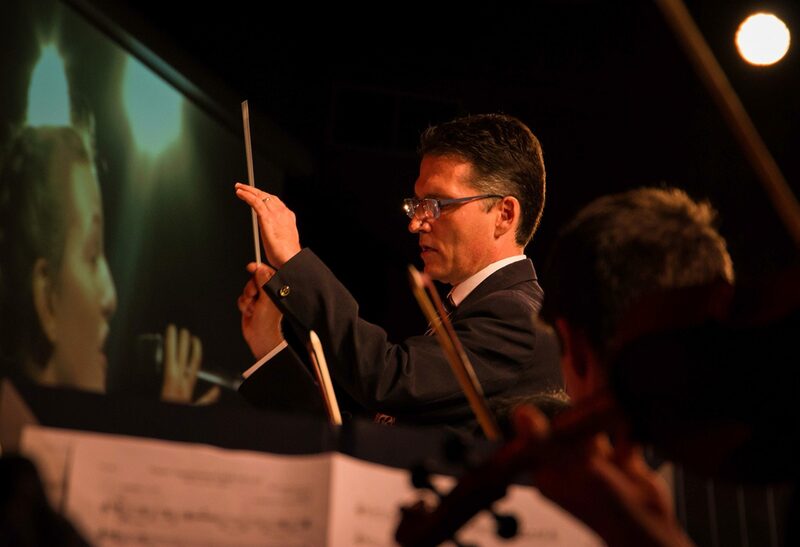 The Governor General and Lady Cosgrove departed from Assembly to the composition “Aces High” written by composer Ron Goodwin and performed by the College Orchestra, led by Mr David Adelt, Head of Instrumental Music.